You’ve probably already heard about some of the amazing health benefits of turmeric, and seen the proliferation of turmeric-containing products at health food stores and websites. But to get the health benefits of this remarkable root, you need to be sure you are taking the right dose, in the right way. Turmeric, a root that is ground up into the spice that gives curry powder its characteristic yellow color, has a long history of use as an herbal medicine. It can help prevent heart attack and stroke by lowering blood pressure, thinning the blood and preventing clotting, and lowering levels of LDL (“bad”) cholesterol while boosting levels of HDL (“good”) cholesterol. It also lowers blood sugar and functions as an anti-inflammatory, antifungal and antimicrobial. It can be used to treat jaundice and as a poultice for skin conditions and wounds. 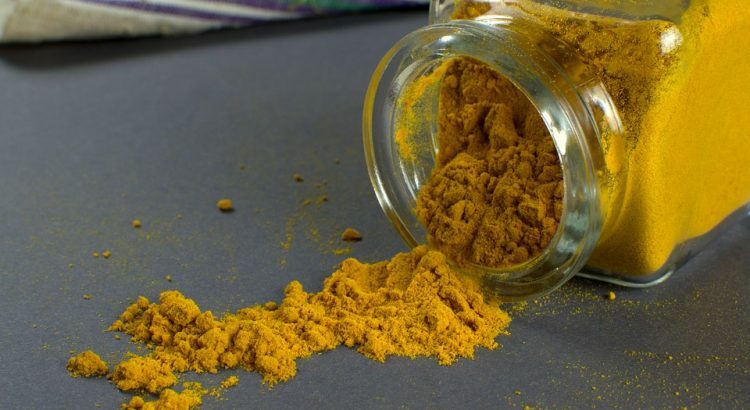 Recently, scientists have begun examining the properties of a group of chemicals known as curcuminoids (or simply “curcumin”), which are believed to be responsible for many of turmeric’s health properties. Studies have shown that curcumin benefits not only your heart but also your immune system. It also boosts cognitive capacity and can prevent or perhaps even reverse cancer. Take it right to get the benefits! According to the health website Healthy Holistic Living, a good daily health maintenance dose for adults is up to 1.5 grams, which is about the same as a slightly rounded teaspoon. This can also be split up and taken in two to three smaller doses throughout the day. For treating specific health conditions, the “therapeutic” adult dose is 2–3 grams. Therapeutic doses should not be used in children under two. Children over two and adults over 65 should start with a dose on the lower end. The effectiveness of turmeric can be boosted as much as 2,000 percent by mixing it with a little black pepper (perhaps 1/8 teaspoon). Critically, curcumin is fat-soluble, so turmeric should always be consumed along with some form of fat to aid in absorption. It can simply be mixed with two teaspoons of oil and eaten or mixed into food such as yogurt. It can also be mixed into a fat-containing beverage such as milk. If taken on an empty stomach, it can cause some nausea. Curcumin capsules are also available, but it is unlikely that the full benefits of turmeric can be obtained from consuming any one chemical in isolation, however potent that chemical might be in the laboratory. Remember that spices sold in the grocery store are typically irradiated, and were grown with toxic chemicals. For medicinal use, be sure to find a reliable source of organic, non-irradiated turmeric. It is important to follow certain safety practices if taking turmeric or any natural medicine at a therapeutic dose. First of all, remember that therapeutic doses are intended for short-term use only. Consult a health practitioner such as an herbalist, Ayurvedic practitioner or traditional Chinese medicine provider for guidance. At the therapeutic dose, turmeric should not be mixed with certain other medications or herbs. Because it has many of the same effects, therapeutic-dose turmeric should not be taken along with blood pressure, diabetes, cholesterol or blood thinning pharmaceutical drugs or herbs, including aspirin. It should not be mixed with moderate or high doses of garlic or Gingko biloba, which are also blood thinners. Therapeutic turmeric doses should be halted at least one week prior to any surgery. Turmeric can increase bile production, so therapeutic doses should be avoided by people with gall bladder problems. People with hypoglycemia should also avoid it. Because therapeutic-dose turmeric can stimulate uterine contractions, it should be avoided in pregnancy except under the guidance of a trained health practitioner.